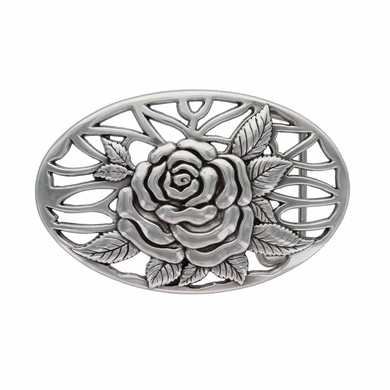 Home > Belt Buckles > Western Belt Buckles > HA-0493 Silver Rose and Vines Oval Buckle 1-1/2"
A silver-plated zinc hook-and-bar style buckle. approximately 2 and 3/8" by 3 and 5/8". 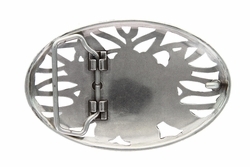 Fits 1 and 1/2" belt straps.